Joe thought he’d be a better preacher. Did you? I don’t mean he had pretensions to glory, necessarily. Just that of the range of things he knew he’d have to do once he started ministry, he figured preaching would come easiest. It’s what drew him to ministry in the first place, after all. He loves study, organization, communication. He listens to Keller and Piper when he jogs. He’s got bios of Spurgeon and Whitefield on his night stand. Coming out of seminary, he knew counseling would be a challenge, that administration would take on-the-job training, that he knew little about effective marketing, that managing staff or volunteers wouldn’t be natural at first. But he figured if there’s one thing he can do well, it’s understanding and explaining the Bible in an engaging way. And good thing too, he thought, because biblical preaching is the lifeblood of the church. He believes that if everything else has to fail so preaching can go well it’s a worthy cost. It’s a cost Joe’s paying. Balls are dropping all around him so he can spend his 20 hours prepping. All of this amounts to a huge existential burden that each sermon has to carry. Joe feels like he’s got to hit a home run to justify mediocrity in every other area of his job. But his sermons rarely feel like home runs. And there’s more. Joe knows from his pastoral care that his context is far removed from the class full of seminarians where he delivered his first sermons. He’s not working with theory anymore. He’s speaking into the lives of real people—people he knows and loves and desperately wants to help. He knows they need more perspective on the hard things in their lives. More confidence in their faith that Jesus is true. More urgency while facing the problems in their marriage. He knows what they need is so great and so specific to the circumstances of each one of their lives he can’t imagine how a single sermon could get the job done. But Joe’s trying his hardest. He carries that weight in his study all week; it’s on his shoulders every time he steps into the pulpit. To whatever extent this description reflects your experience, your experience reflects mine. In more ways than I’d like to admit, I’ve been Joe. Weekly preaching is a tremendous emotional, intellectual, and psychological burden we carry with us all the time. Some of that is in the nature of the beast. Some of it stems from the idol factories we nurture inside. It’s a complicated burden and it can deal a deadly blow to ministry longevity. Where can we find the perspective we need to keep pressing on? How do we learn to live with the fact that no sermon will ever measure up to the depths of our text, to the needs of our people, or to our ideal images of ourselves? What does success look like when you know your preaching will never be good enough? A while ago I was pressing through a season of discouragement in my preaching at the same time I was preparing for a new series on John’s Gospel. The way the Evangelist describes the ministry of John the Baptist was incredibly helpful for me then—and it’s a perspective I’ve been seeking to grow into ever since. There are three places the ministry of the Baptist shows up, and in each case there’s a message we need if we want to preach with confidence, freedom, and joy. “I am not the Christ” (John 1:19-28). We first hear John speak when the priests and Levites come down from Jerusalem for an up-close look at his ministry. The Evangelist doesn’t fill in many details of John’s style or his popularity, but given the way other writers describe him it’s not difficult to imagine what these Jewish leaders expected to find. They come asking, in essence, who do you think you are? They’d surely heard about his bohemian dress, his eccentric diet, his outlandish statements. They probably expected a guy who was full of himself. But John’s answers only speak to who he’s not: “I am not the Christ” (1:20). John isn’t trying to protect himself and deflect attention. This isn’t an Obi Wan, these-aren’t-the-droids-you’re-looking-for evasive move. He’ll give up his life soon enough. Here, though, he doesn’t want to talk about himself because he knows and loves the fact that he’s not the point. He’s not the solution. He’s not the hero. He can’t save anybody. He’s not the one you’re looking for. And he not only accepts this reality—he embraces it. There’s great freedom for us when we as preachers embrace that, too. There’s no denying our sermons will never be able give our people what they really need. Thank God I am not the Christ. Of course, it’s essential that we bear the burdens of our people alongside them. It’s unavoidable that we carry those burdens into our pulpits, but it is not left to us and our sermons to deliver our people from those burdens. Only the Christ can do that, and it’s precisely what he came to do. Thank you God that you have given them—given me—a far greater Savior than I could be. Thank you for Jesus, whose work is finished, and for your Spirit, who knows how to apply it. “He must increase, but I must decrease” (John 3:22-30). The next time we hear from John the setting is somewhere out in the Judean countryside, a place where there was plenty of water. Jesus and his disciples are in the area performing baptisms, and John was nearby doing the same thing. The dialogue opens with John’s followers who come to him with an all-too-human concern. They’re worried that John’s ministry has been eclipsed by Jesus’. Jesus was a nobody before John talked him up, they imply, but now look what’s happened. Their exaggeration makes their frustration clear: “Everyone’s going to him” (3:26). John’s response offers remarkable clarification for our goal in preaching. It follows directly from the fact that we’re nobody’s Christ. Our job is to set people up with the one who saves and then to get out of the way. The metaphor John uses with his friends still speaks powerfully today. He refers to the bridegroom—that’s Jesus; the bride—that’s his people; and the friend of the bridegroom—that’s John. “The one who has the bride is the bridegroom,” John says. But the friend of the bridegroom isn’t jealous. He was looking to make the introduction, not looking for a bride of his own. He was looking to set his buddy up, and he “rejoices greatly” that the job is done (3:29). From one perspective, John’s ministry—his life’s work—is fizzling out. In a matter of months he’ll have his head served up on a platter. Surely he can read the signs. But, far from despairing, he claims “this joy of mine is now complete” (3:29). He faces obscurity and death with joy because the aim of his life and ministry was focused and fulfilled: “He must increase, but I must decrease” (3:30). That’s a liberating manifesto for preaching ministry, isn’t it? For a while I kept the phrase on a sticky-note attached to my office computer where I write my sermons. Where I struggle with disappointment over sermons that aren’t what I wish they were. Where I’m tempted to write in content that will make me look good. It’s good to be creative, insightful, vivid, and winsome. But in the end, there’s one main question we must ask of our sermons, one metric for judging their effectiveness: is the beauty of Jesus accessible? Lord, help me believe that the most important thing about me is the Jesus I proclaim. My only glory is his, shared with me as a gift because I’m one with him. “Everything that John said about this man was true” (John 10:40-42). 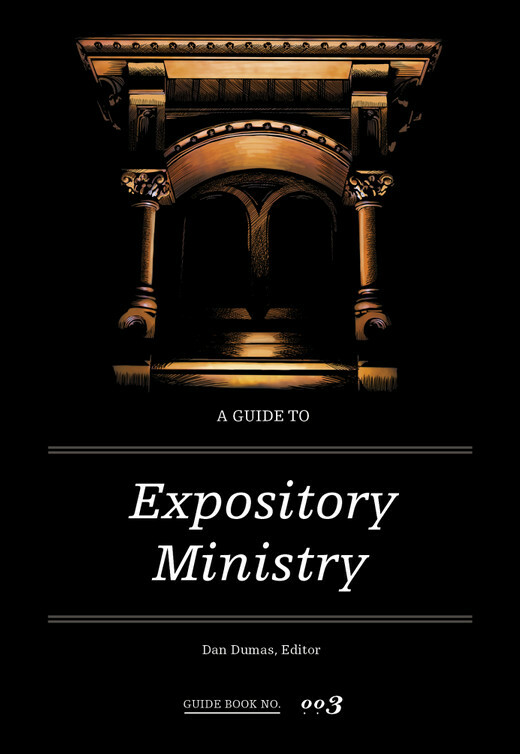 The final reference to the Baptist in John’s Gospel comes in chapter 10. He’s been executed by this point, and Jesus has come to an area where John had done much of his ministry. Many of those who had heard John’s preaching now encountered Jesus for themselves. Here’s their conclusion: “John did no sign, but everything that John said about this man was true” (10:41). How’s that for an epitaph? Would that work for you? There’s the epitaph we want, brothers. And by God’s grace, so long as we’re faithful to his Word, it’s in reach for all of us. So let’s cast off our fears, our insecurities, our disappointments—and go for it. This article was originally published at 9Marks. Matt McCullough (Ph.D., Vanderbilt University) is the pastor of Trinity Church in Nashville, Tennessee and author of The Cross of War: Christian Nationalism and U.S. Expansion in the Spanish-American War. He is a graduate of Boyce College.